Product description: MAKE YOUR CHILD A WINNER is written by Pradeep kapoor and published by Rupa publications. 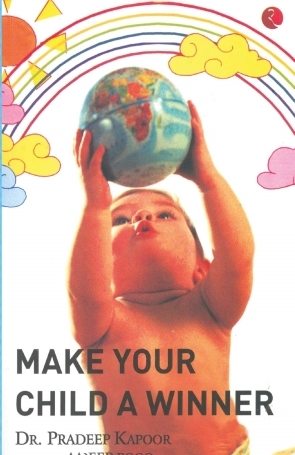 Buy MAKE YOUR CHILD A WINNER by Pradeep kapoor from markmybook.com. An online bokstore for all kind of fiction, non fiction books and novels of English, Hindi & other Indian Languages. "A gold medallist, Pradeep Kapoor (MBBS, MD) is a paediatrician based in Bhopal. He is an established name in the field of parenting, having written several successful books on the theme. His first book, Make Your Child a Winner, was a bestseller and has been translated into seven languages. His novel, Fosla, a humorous take on life in a medical college, was a rage among readers, both young and old.